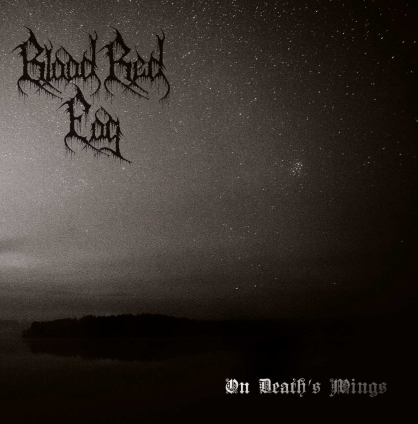 One of the many cryptic and caustic black metal projects to arise from Finland during the 2000’s, Blood Red Fog have soldiered on through the years, producing 3 full-length albums and a myriad of split and EP releases to keep the name out there and to fill in the gaps. I have heard this band before and have always appreciated the traditional dissonant crust executed by them, even though the overall impact is largely unremarkable. Harsh and unforgiving black metal that hides behind a treble grated, lo-fi guitar tone and affinity for depressive minor notes/chords. Agonized vocals that range from your typical mid-ranged snarl, to more of an old Vikernes, crying orc scream of anguish are evenly paced and largely interesting in the way the lyrics are placed/performed over the wall of fuzz. What has stayed my hand in hitting “stop” and hunting for something else to review, is regardless of the fact that Blood Red Fog still cling to their core formula and many of the elements previously mentioned, there is a noticeable jump in songwriting quality this time out. BRF still won’t boast pure creative innovation with their sound for On Death’s Wings, but the bands attention to creating riffs that are memorable and the way they are constructed within a structure makes me want to stick with this album and maybe even come back to it. The depression on hand somehow feels authentic even though there is a playful motion in tracks like As Lightning From Heaven with its memorable and simplistic nod to folk rock. This entry was posted on June 25, 2014 at 7:12 pm and is filed under ALL REVIEWS, B-reviews.You can follow any responses to this entry through the RSS 2.0 feed.You can leave a response, or trackback from your own site.